Drag the .backup file to a folder on your PC to copy it. Click on Files and find the newly created mybackup.cfg.rsc backup file. Drag the file out of Winbox and drop into a folder on the PC to copy it. You can also open the .rsc file in a text editor to very its contents. In Winbox, click on the Neighbors tab and connect to the new unconfigured router. 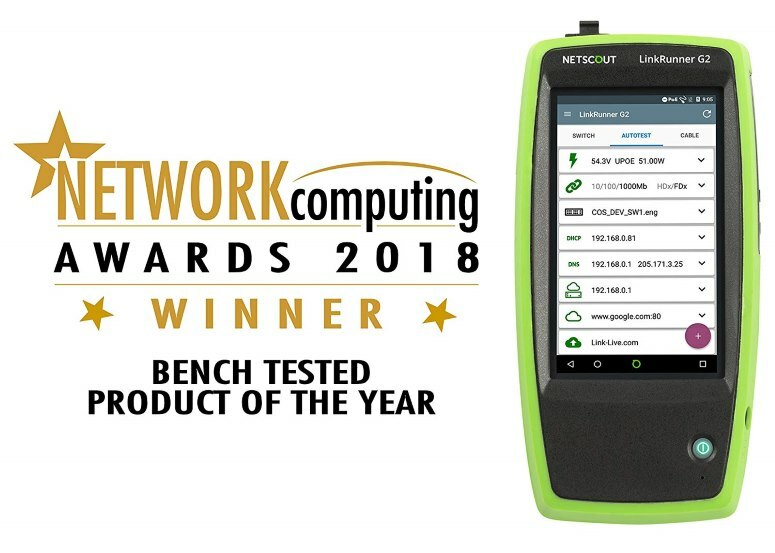 Once connected, insure that the router firmware the same version as the router you are replacing. Click Files and drag the .backup file from your PC into the files window. This will copy the config to the router. Next, highlight the config backup file and click Restore. Note: If the config was originally encrypted you must first set the same admin password and reboot the new router before attempting to Restore. 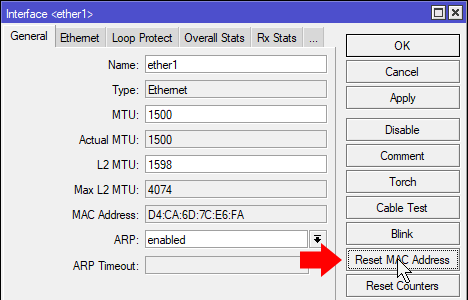 Important: When restoring a binary backup file to a new Mikrotik Router the backup will change the mac addresses of all interface to match the previous router. This usually is not a problem unless you are using a backup to configure a second router. If you were to connect say ether1 between the old and new router they would both have the same mac-address on ether1 causing them to not communicate. You can use the Reset Mac Address button on each interface to revert back to the factory hardware mac address. WARNING: These steps will erase any existing configuration setting on the router. Check the box “No Default Configuration” and choose the config file from the “Run After Reset” dropdown. 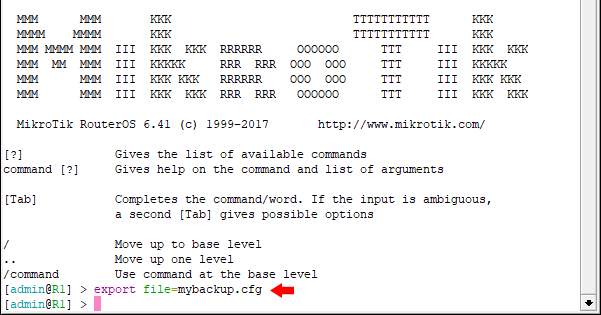 For the best way to restore MikroTik Configs use my perfectrestore script. I hope you found this MikroTik Tutorial on RouterOS Configuration Management useful. If it helped you out, please leave a comment below and checkout my other MikroTik Tutorials! Muchas gracias, me ayudaste con un gran dolor de cabeza, bendiciones y saludos desde Colombia.